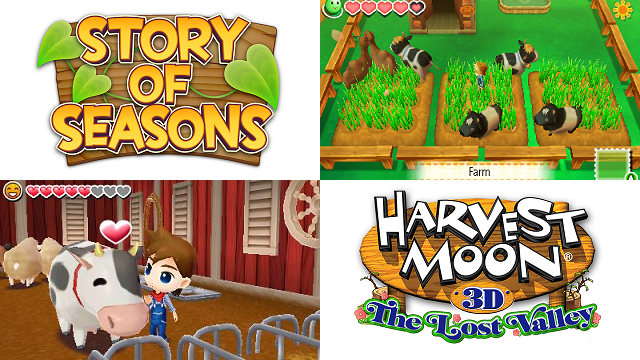 Not sure if any of you saw last week, but we saw the release of the first trailers for Story of Seasons and Harvest Moon: The Lost Valley. The trailers came out within a day of each other and highlighted important factors for each game. For the Story of Seasons trailer, XSEED Games/Marvelous USA kept it simple, showing off the lineage of the series before revealing the new name. As one gamer put it on the Story of Seasons Facebook fan page, XSEED was basically saying “GUYS THIS IS HARVEST MOON WE JUST CANT CALL IT THAT PLEASE REALIZE”! And it made sense that XSEED would go that route. If you’ve ever played a game in the Bokujō Monogatari series, you should know the basics of the game. And to top it off, we’ve been seeing screens of the game for over a year, well before we even knew XSEED was bringing it over. A focus on the lineage was the right move. 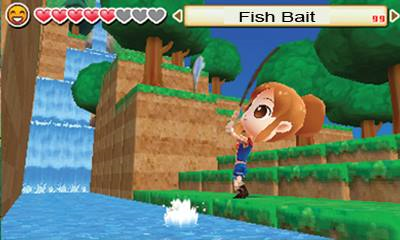 As for Harvest Moon: The Lost Valley, not much was known about it other than the name. Natsume was focusing more on describing how it would be a reinvention of the series, since, you know, they don’t actually have the series anymore. They talked about customizable worlds, being in a 3D setting for the first time (which is BS, but I’ll get to that in a bit), and just being an evolution of the series. Geez, this looks like they took the Minecraft look, refined the graphics, kept the terraforming, and slapped a farming simulator on top of it. All I can say is I did not expect this. Okay, let’s hold up for a minute. We shouldn’t judge the game until we get our hands on it. We’ve only skimmed the surface of what is in The Lost Valley. However, there is one thing I do need to call out. Beforehand, Natsume talked about how this would bring the game to “a three-dimensional setting for the first time.” This is a load of crap. 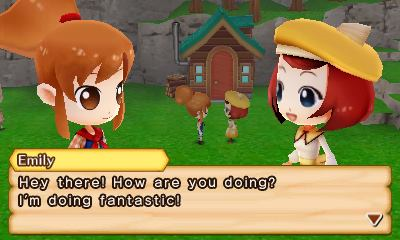 The Bokujō Monogatari series—which, until recently, had been known to us in the West as Harvest Moon—had been in 3D settings before. 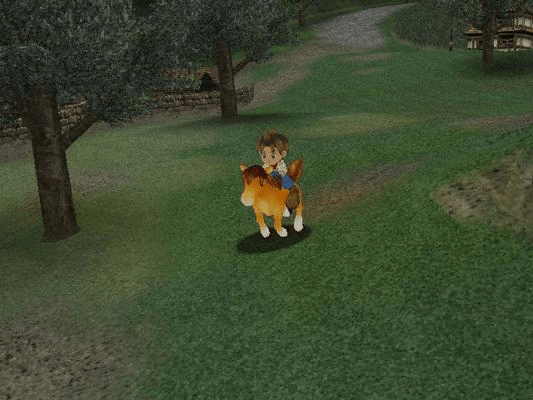 You’ve got some isometric 3D games early on with Harvest Moon 64 and Back to Nature. And if you don’t necessarily consider those to be true 3D games (and I wouldn’t really argue that point with you), you have the Wii games Animal Parade and Tree of Tranquility, the PSP game Hero of Leaf Valley, the PS2 game Save the Homeland, and the GameCube and PS2 game A Wonderful Life—and its sister game, Another Wonderful Life. And if I wanted, I could also talk about how Rune Factory: Tides of Destiny, a Natsume-published game within the same franchise, had a 3D setting, as well. 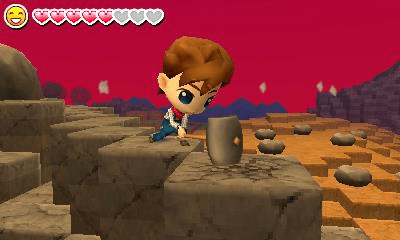 So, as you can see, the idea of a 3D setting in a Harvest Moon game is not a new one. But I will say that it does look different. I don’t know if I can attribute that to the Minecraft-like setting or just the fact that it’s a completely different team working on this. But it does looks interesting. 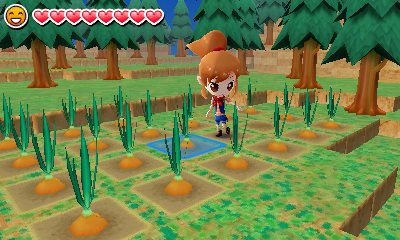 The only thing I’m not liking about the 3D setting is the farming. I would prefer having it like A Wonderful Life, in which the camera switches to an overhead view so you can easily see where you are in relation to your crops. As for the setting, there is no getting around the Minecraft comparisons. It’s obviously not the same as the indie mega-hit, but it does have similar features. But I think it can work well if, like Minecraft, there are some online features. It doesn’t necessarily have to be co-op, but something where you can explore other players’ lands would be nice. And while it seems like I might be complaining about certain things, there is an intriguing aspect that was introduced in the trailer. Instead of the game starting you in spring with farmland that needs work and tutorials that you shouldn’t really skip, you begin in winter. As a matter of fact, The Lost Valley is in an eternal winter when you begin play. This is an intriguing change to the formula, one that makes me excited for the game. So, now that we have an idea of what the games will look like, we can now properly get hyped for these games. And furthermore, I can get that boxing poster with the two games clashing that I want. Oh, crap. We might now have a three-way coming later this year.